Our expert team at Just Shutters is here to ensure your satisfaction, from the very start of your relationship with us, all the way through the design and installation process, and long after. We are delighted to have an unrivalled reputation and pride ourselves on our satisfied and repeat customers, and of course those all-important word of mouth recommendations. Our customers are our business – we hope we can welcome you among them. Chris Rocker founded Just Shutters in Bournemouth in 2006. Chris says: 'We live and work in Bournemouth and luckily we are only about half a mile from the sea. I spent most of my school years here but moved away to join the Royal Air Force. In June 2000 I was offered, and accepted, a directorship of an AIM-listed company based in Oxfordshire. Although this was some distance away, Bournemouth was the natural place to return to and offered so much more than where we had been living. I feel that this area offers so much to us that it is difficult to envisage living anywhere else! 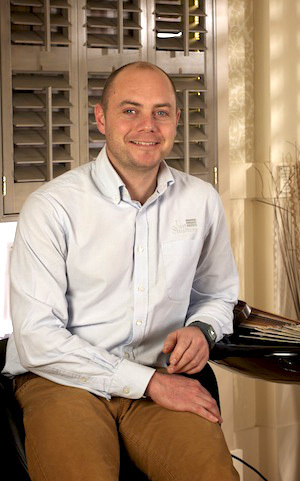 'In 2006 after having fallen in love with Plantation Shutters, a dream of starting a specialist company to meet the growing demand in the field was realised, Just Shutters was born. 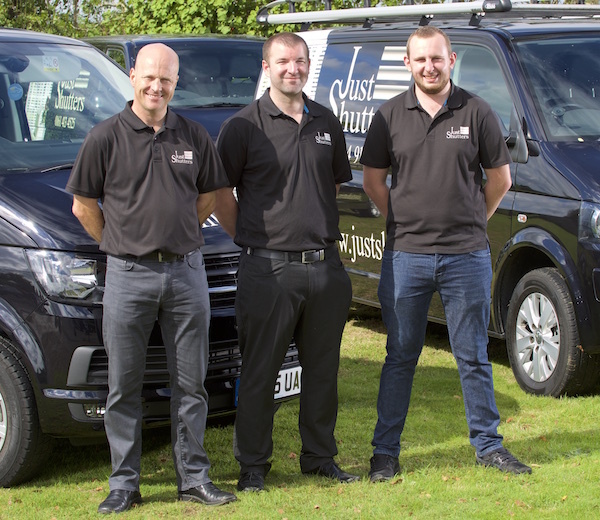 We have grown steadily and strongly over the past decade and now there is a Just Shutters franchisee covering over 150 towns and cities in the UK. I am passionate about what we offer, how we can provide the very best solution individually for all houses and with over 50% of our business coming from recommendations and additional orders I guess that our customers agree too. I am extremely proud to be Just Shutters Managing Director it is a pleasure working alongside the excellent team we have built up over the years, helping achieve the vision for the business and taking the helm at this exciting stage of the company life. I have over 30 years’ extensive business management experience across a number of industries which has taken me from Zimbabwe to South Africa, Ireland and now the UK. I take great pride in assisting companies to achieve their strategic goals and meeting head on the day-to-day challenges that they face, and enjoy nothing better than being an integral part of a thriving and happy team environment. Growing up in the bushes of Africa, I am an outdoor person, love wildlife and am an avid open water diver. When I have the chance, I get stuck into a more sedate passion: sitting behind an easel painting and sketching. An award-winning businesswoman, Charlotte Fantelli is Just Shutters' Marketing Manager. 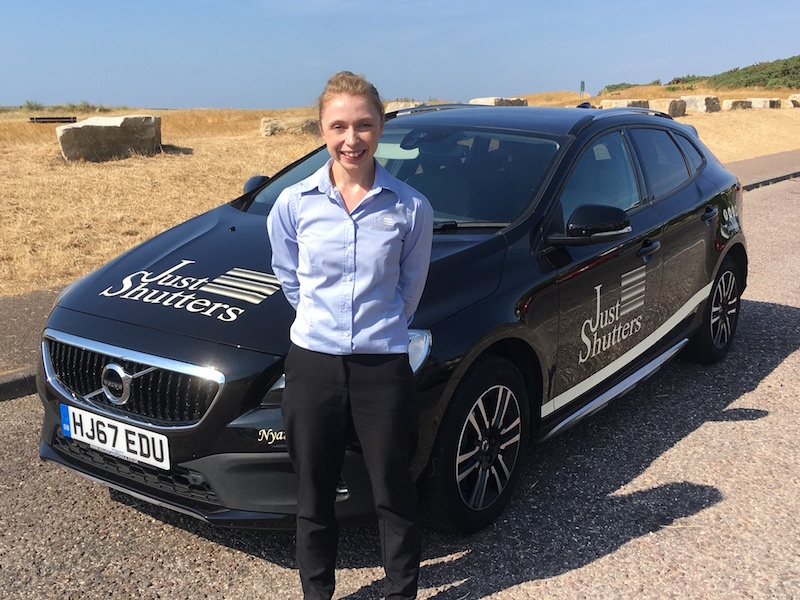 Having worked with Chris to build the Just Shutters brand identity, from the logo and colour schemes to brochures and marketing material back in 2006, Charlotte now runs the marketing operations from Just Shutters HQ. Jasmin joined us at the beginning of 2016, after a successful eleven-year career in luxury goods and jewellery retail. Jasmin has a wealth of experience in customer service and management. Outside of work Jasmin enjoys spending time with her family and reading a great book! Victoria, an award winning entrepreneur, graduated in 2000 with a fashion and textile degree. After five years in bridal-wear design with the notable designer Jenny Packham, ever the adventurer, Victoria took a year out to travel round world on own. 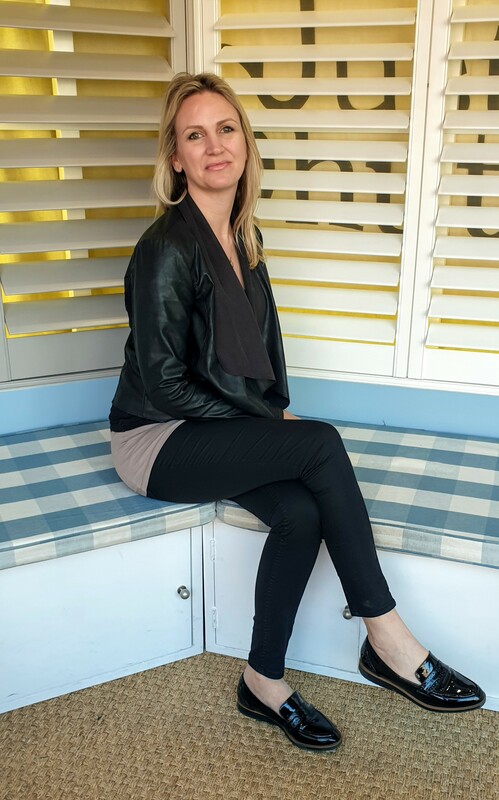 On her return, she set up lingerie company Fred and Ginger, for which she was awarded business woman of the year 2012, while her company was named ‘cool brand of the year’ 2015. Her life changed when she decided to leave the big smoke and have a family. Moving to sunny Bournemouth Victoria encountered Just Shutters on having her windows measured. Impressed with the way we work, our stunning product and lovely team, Victoria stayed on our mailing list and when the opportunity for the showroom position came up she jumped at the chance. She says; 'I Love the family environment, everyone was so welcoming and enthusiastic from day one. From a design perspective I love the aethsthetics of the product as well as the quality of the brand itself. Livia joined us as our Customer Services Administrative Co-ordinator in May 2016. First impressions count, and it is important for any business to have a knowledgable and approachable first point of contact. We certainly have this in Livia, whether it be in person or by phone, her enthusiastic and disarming persona put our customers at ease and fit perfectly with our high standards of customer care and brand ethic. Livia also brings a wealth of experience to the role having worked in luxury hospitality & holistics as well as extensively in the corporate arena. Janet has been working in customer service and sales most of her career. Driven by ‘getting the right results for the customer’, Janet is hard working and brings passion and customer care to her role as Appointment Setter. Outside of work Janet is a keen walker, making the very most of the beautiful Dorset countryside; ‘Especially in the sunshine’ she adds. Kate (pictured right) started working for Just Shutters in 2007 and soon became Just Shutters’ Master Fitter. Kate is now Just Shutters’ Designer. Customers were delighted with her expert skill and feminine touch when installing in their homes. Gavin McGuiness joined Just Shutters in November 2016 as one of our expert Sales Designers, Gavin took to the job as if it were made for him. Having been in a customer facing role for 14 years with a large audio-visual company, Gavin has always had a passion for people and really enjoys meeting customers and helping find the very best solution for them. Gavin’s other passion in life is music. Hannah joined Just Shutters after a successful career at Bath Store. In both positions she has been driven by her passion for interior design, a subject she studied and enjoys personally and professionally. Outside of work Hannah enjoys lots of family time with her partner and little boy. Phil spent over 10 years in the fitness industry as a personal trainer. This lead to him taking more active sales and managerial roles that saw him flourish. He loves working with people and has a great eye for design. Sarah joined Just Shutters in July 2016 after moving from Hertfordshire to Bournemouth. Sarah ran a successful business before her move and was looking for a role that was dynamic and allowed her to put her great people skills to good use. However it was more than just good luck that Sarah came across Just Shutters, she was a customer first! Marcin (pictured right) says, "I'ver worked for Just Shutters since 2008 and in that time I’ve built up extensive knowledge and experiences of all things related to plantation shutters. After all these years I haven’t lost any passion for my job – if anything it’s continued to increase! 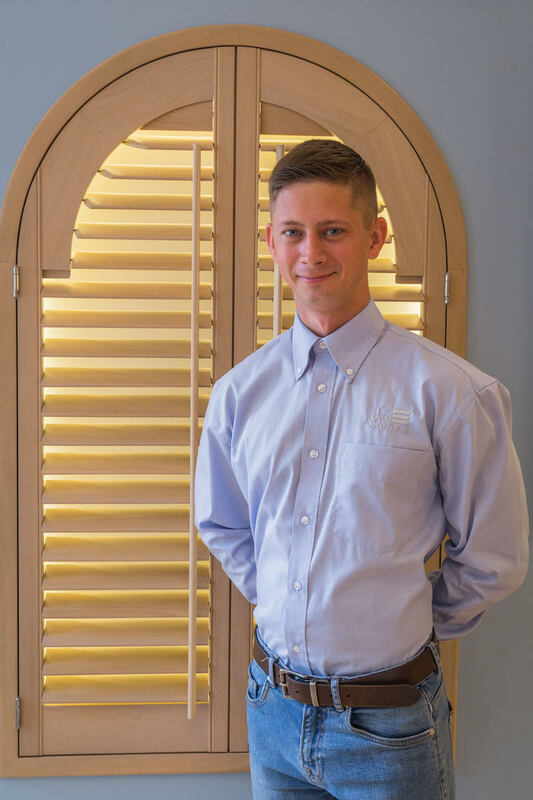 “So whatever your needs may be, from a small bathroom window to the whole conservatory, I will be more than happy to assist you with your enquiry"
Lukasz is a delight to have as part of our hard-working shutter fitting team. Lucasz's work ethic and fantastic attitude have made him a very valuable member of Just Shutters. entering, and never ever forgetting to hoover and tidy at the end of installations. We like to leave a customer's home more beautiful than when we arrived, so having expert fitters, trained to a high standard, with a drive and attention to detail is of upmost importance. Lucasz says, "I really enjoy working for such a professional company". Natalia is the most recent addition to our fitting team, yet she has proven herself an invaluable asset already. Natalia says; 'I moved to Bournemouth from Coventry, West Midlands, at the end of Jan this year, and I can honestly say it was the best decision in my life so far! I have met amazing and lovely people in Just Shutters who have given me the opportunity to join the team and make customers happy everyday! Originally from Hungary, Zoltan moved to the UK in 2016 with a desire to learn English. Zoltan started with Just Shutters in November 2017 and took to the job immediately. Originally he started as an Assistant Shutter Fitter for Dorset, he is now surveying and fitting for both Dorset and Wessex. Outside of work Zoltan enjoys flying, he has his PPL (Private Pilots Licence) and enjoys taking to the air in small aircraft. 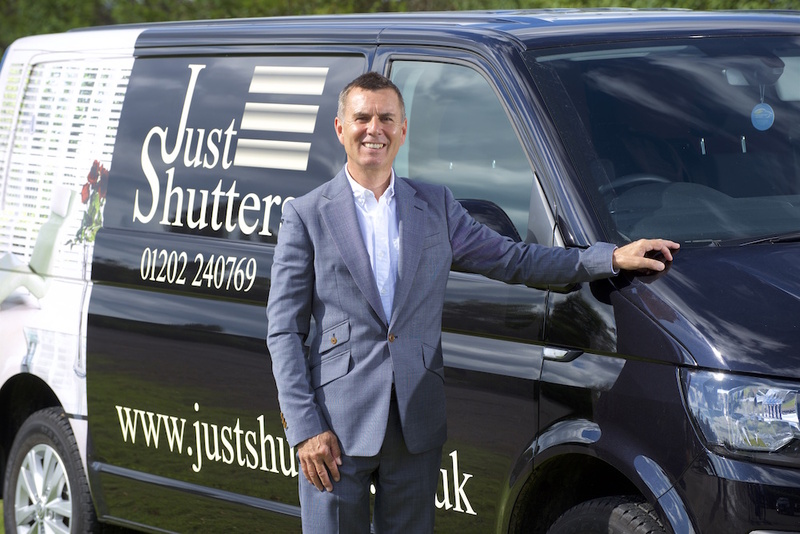 Andrew is based in Exeter and started the Just Shutters South West franchise in 2011 covering Devon and Cornwall. Now, after three years of running the business, he has established a fantastic reputation and strong customer base. Andrew says, "I enjoy running the South West franchise and getting out and about all over Devon and Cornwall and meeting all my customers. I take great satisfaction in the pleasure my customers receive after each installation, which is a result of lots of hard work and attention to detail. “It’s also great to know that a large part of my work comes from additional orders and customer recommendations to friends and family. 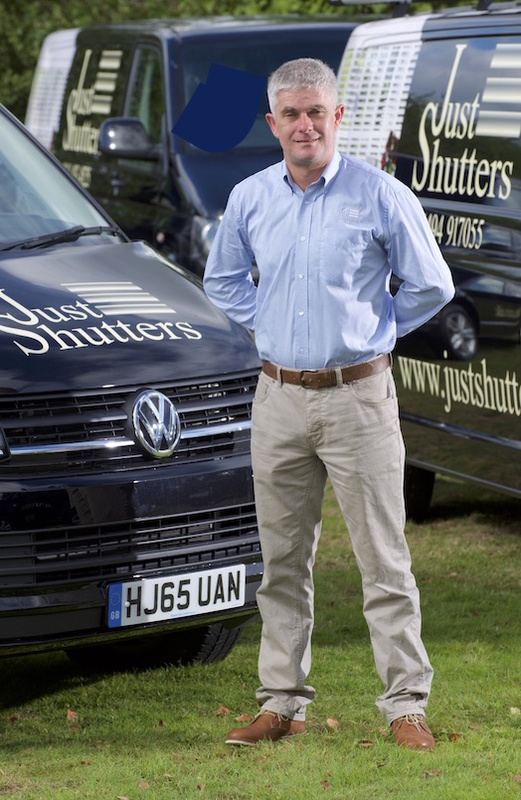 It’s really enjoyable running your own business, as well as being part of a larger team in Just Shutters Ltd”. Tom Parrott is a shutter expert with years of experience in every element of their design, manufacture and installation. He and his wife Brooke take the helm of Just Shutters Hertfordshire. The husband and wife team have worked for Tom's family business in the US for many years, specialising plantation shutters. Tom is an all-round shutter expert with a passion for both the creative and hands on side of the business. David Stansbury is our Just Shutters Kent MD. He says, “I love to travel and experience different countries and cultures, probably as a result of my parents: Dad served abroad in the army then the government so we moved around. 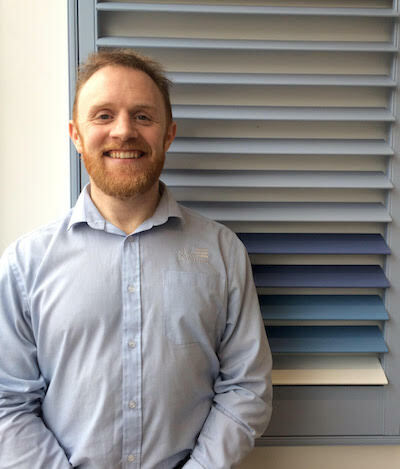 We are thrilled to offer shutters in Manchester and Cheshire, and Richard Hopper is just as thrilled to take the reins. 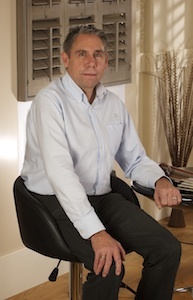 He says, “I am delighted to be the Just Shutters franchisee for South Manchester and Cheshire. Their ethos and professionalism have impressed me. Previously, my business was delivering medical supplies to patients’ homes where professionalism and building relationships was of utmost importance”. “My home is in Flixton, Manchester where I live with my wife Marie and our two children. Football has always been my passion. I support Man United and played amateur football for over 20 years. Only now, as I near 50, have I decided that even a kickabout on a Friday night is going to have to stop. So now it’s crown green bowls and darts! I am looking forward to building my Just Shutters business in the South Manchester and Cheshire area and being part of this great team”. Also pictured: Andrew Hopper and Aiden Featherstone. Having joined the civil Service in 1987 aged 16 I completed an Engineering Apprenticeship in 1992 before working in North Yorkshire, Dorset and finally Wiltshire in various engineering jobs, I spent the last 8 years in an inspection department ensuring equipment was always in top condition. Due to impending contractorisation of my civil service post, and wanting to change my lifestyle and improve my Family's future, I purchased the Franchise area covering Bath and the surrounding areas. I currently work very closely with Mark Williams the Wiltshire Franchise owner who has been in the business for sixteen years, and is passing on his considerable knowledge and putting me through a crash apprenticeship in shutters. Whilst new to this area of work, my attention to detail and engineering experience is rapidly paying dividends. Myself and Mark Williams will both be working in the Bath and Wiltshire areas. See here for shutters in Bath. I love my family and spending time with them as a husband and father. I value community and am active in my local area due to my faith. I love working with wood and natural materials, crafting various things from spoons to baskets to tables. I enjoy the outdoors, camping and playing as much sport as possible! Throughout my life I’ve worked with a variety of people from all walks of life and really enjoy people and their stories. Whilst I enjoy being part of a team, I am also able to work alone and have the motivation to do so. I like to initiate and spark ideas, get hands-on and look for creative ways to make things happen. I’m optimistic and have an adventurous streak in life that helps to characterise how I operate. I really enjoy how shutters transform a space and enjoy the customer’s delight in the finished installation. Call Andy for the best shutters in the West Midlands. Mother and son, Jill and Joe decided to join forces this year and become proud owners of Just Shutters Nottinghamshire as they were both very keen to work for themselves and combine their skills. Joe is a fully qualified joiner and Jill has 16 years business experience working for the NHS in Nottinghamshire. They strongly believe their previous experience will give them the expertise to run a successful Just Shutters franchise business in Nottinghamshire. Hayley and Terry Lancaster are a husband and wife team who have taken over the franchise in Essex. Terry has been working as an electrician for 9 years and has previous history in sales roles. Hayley works in Canary Wharf in the financial industry boasting strong administrative and organisational skills. Together as a team they bring the complete package. Hayley and Terry are extremely enthusiastic and excited to take on the franchise for Just Shutters. Hayley says: "Our friends had shutters fitted and we loved them so much we had them fitted to our house. They finish the look of a room, they're classy and timeless." Shortly after falling in love with shutters themselves, Hayley and Terry saw the franchise opportunity and decided to grab it with both hands. 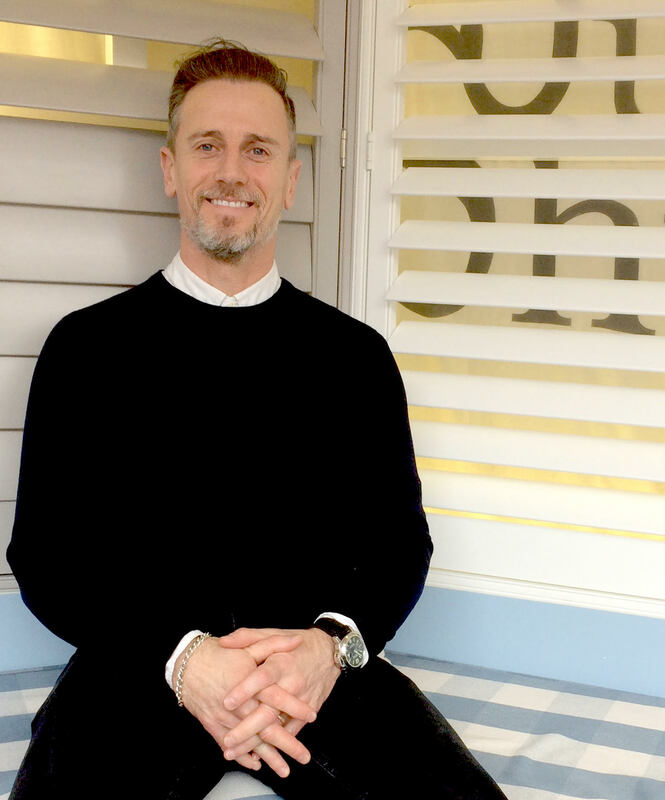 The design and installation skills that Terry poses from his current role and his enthusiasm for engaging with people will be key to ensuring the Just Shutters ethos will be continued. 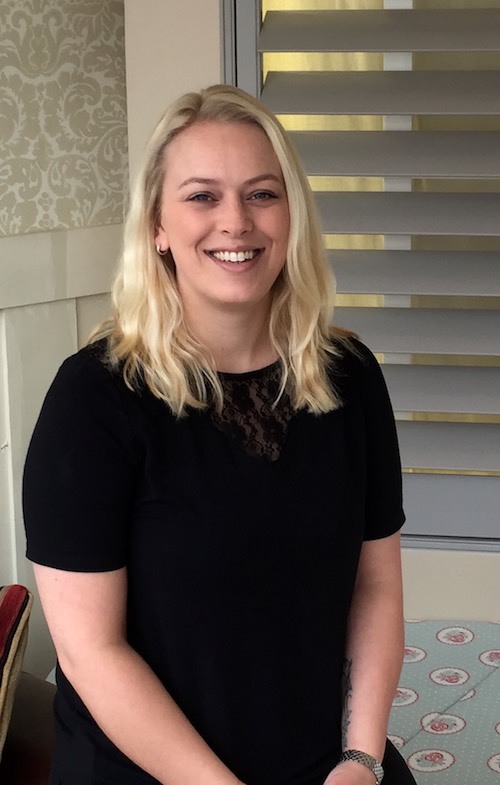 Hayley will provide the administrative support along with the Just Shutters showroom team. "We are both extremely excited to start a new venture together, we can't wait to get stuck in." My name is Heath Fraser and for the last 25 years I have been a very successful Manager for the pub/restaurant trade all over the UK. I have recently been thinking about my future and realise that there is more to life than 100 hour weeks. I would love to spend a bit more time at home with my wife and 18 year old son and 15 year old daughter, watching him at rugby and her at ballet. I live in the lovely village of Angmering and enjoy walks in the South Downs as well as along the surrounding beaches especially with our labradoodle family dog called Florence. I am extremely excited about starting on my new adventure with Just Shutters, meeting new people and making new friends. Simon Broadhurst spent the last 20 years working in media advertising sales in central London for companies such as ITV and Channel 4 but since starting a family just a few years ago, he has been looking for a change of career that would allow him more flexibility and one which would also satisfy his love for design and home improvement. 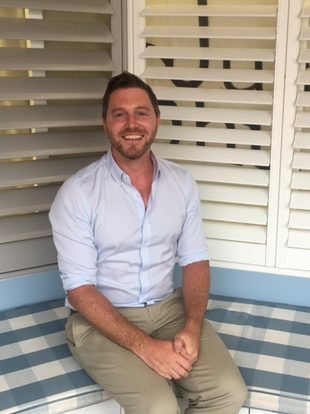 Simon says: I knew I wanted to start my own business so I looked into franchising as it provides a certain level of security. My wife Georgina discovered Just Shutters and straight away I had a good feeling about the business which was backed up as soon as I met the highly professional and passionate team. I know I will get an enormous sense of satisfaction from making the homes of Surrey look even more beautiful with the addition of quality shutters and I'm very excited to be part of the Just Shutters team. If you are interested in becoming a Just Shutters franchisee, please see our dedicated franchise opportunity website. Rob Wardle is Just Shutters Hampshire MD; he has a passion for perfection and an eye for design and with lots of hands on experience in the design, development and dressing of properties, with his own portfolio behind him. 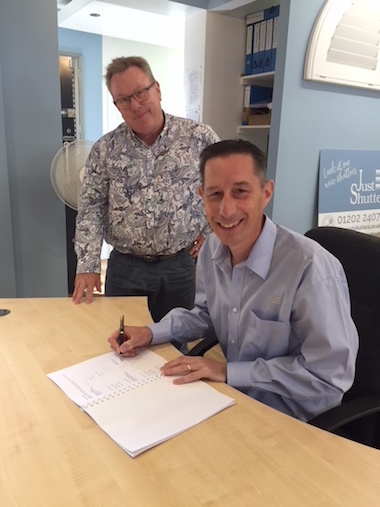 Rob says ‘I am very excited to be part of the Just Shutters family, the franchise encapsulates many of my passions; my love of design and hands on creativity, with my passion for working with people to improve their home environment. James has had two long term careers before just shutters, the first was as the manager of Snappy Snaps (photography) in Guildford where he worked for nearly ten years. James helped build the business and had very strong customer relationships. Then in 2011 after a move to Oxfordshire he started working for our family business, a children’s nursery. He gained his qualifications and became the manager, essentially running the business and gaining them a “good” from ofsted. He worked there until June 2018. It was very long hours and lots of pressure so he is looking forward to a new chapter and hopefully seeing a bit more of our children! Charlotte trained as a beauty therapist in 2004 and worked at Cedar Therapy, a day spa in Oxfordshire. She became a senior therapist and then the manager until she was in a position to buy the business from her then boss. 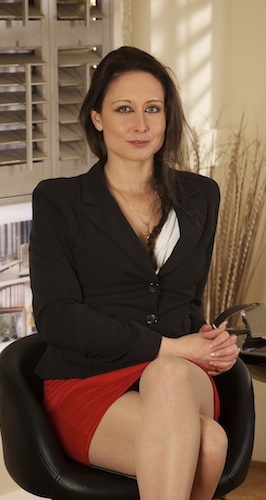 In 2009 she became the owner of the salon and in 2011 purchased another salon which became Cedar Therapy Chipping Norton. Charlotte ran the salons in a very hands on capacity until the couple's oldest son William was born in 2013. Having sold the businesses in 2016 to have their second and third children son Artie and daughter Florrie, James and Charlotte talked about finding something to do together and when they came across just shutters they thought it could be perfect. Angela has a history in accounts and customer services, she still manages the accounts for a local, family run, Kitchen and Bedroom company in Mold who service a very similar area. Ken has a long history in retail and local business sales and for the last 10 years has been a Key Account manager for Mercedes–Benz and VW Light commercial vehicles. When not working Ken and Angela like to keep active, Angela runs, rides both road and mountain bikes and is a regular in the fitness centre’s classes. Ken is an avid road cyclist covering between 80 & 100 miles per week. He also plays squash once a week and likes to walk in the hills when he has chance. Linda and Rob have lived and worked in Bristol and Gloucestershire all their lives, this is where they feel at home. In 2017 Rob was made redundant which gave him 'a great opportunity to take stock, have a breather and look for a more fulfilling, creative way of life'.